Harford County Climate Action is working with Neighborhood Sun to ensure ALL Harford County residents have access to clean energy! I have signed up, thereby guaranteeing that my energy bills will remain 5% below those charged by BG&E. Neighborhood Sun is looking for 20 more people to sign up before the end of September in order to build the local solar project that will be the source of this clean energy. 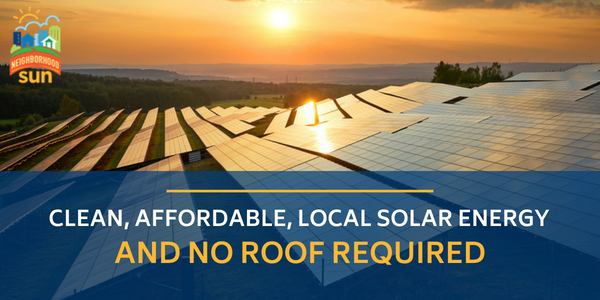 Please consider becoming a part of this innovative method of getting solar energy to renters and even those who have a house but aren’t yet ready to put panels on it. Please visit our special page on the Neighborhood Sun website by using the link below. And thank-you so much for helping to save the planet!